Previews, discussions and support for projects by John Young. Those look yummy, but are probably a job for Tranquill at some time if he is interested. 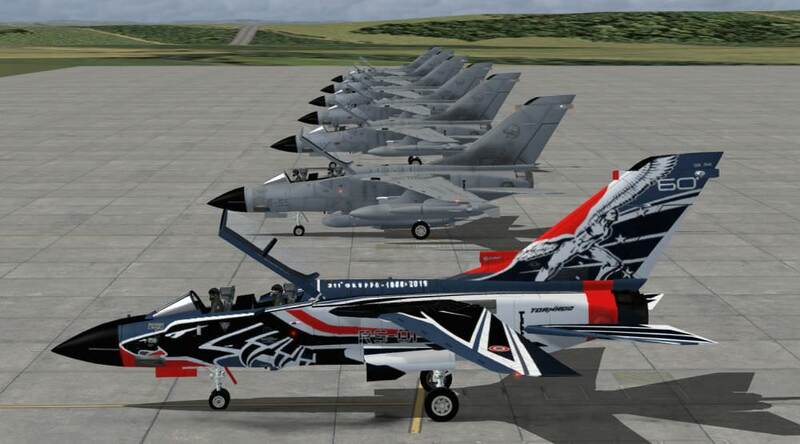 Have any already been painted for FS9 models? Are any of the schemes still flying today? What no specials from the Marineflieger? 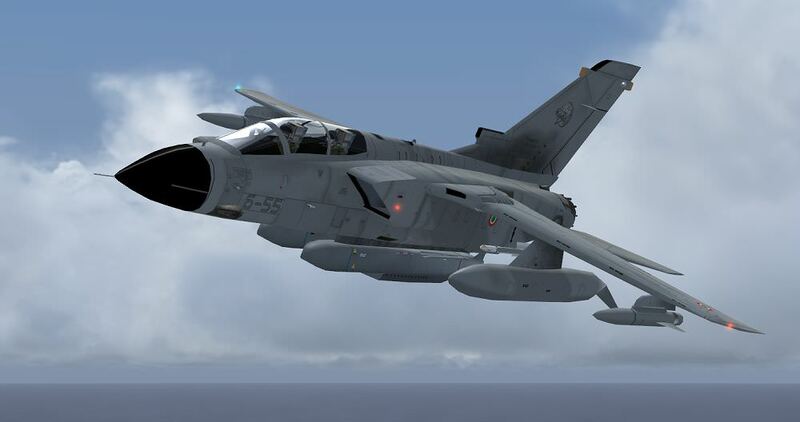 Tornado's are no longer in service with Marineflieger ,that at the present keeps only Do228 And P3D for the fixed wings component. 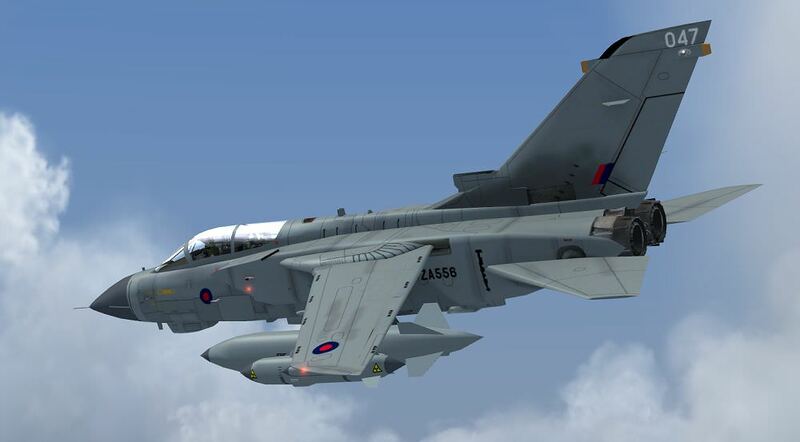 Yes I knew that but as the first package is for the early Tornados I was asking about them. Let me sorry !! I had not thought about that one !! Beautiful models John. For some reason, that era RAF cammo was always my favorite scheme. 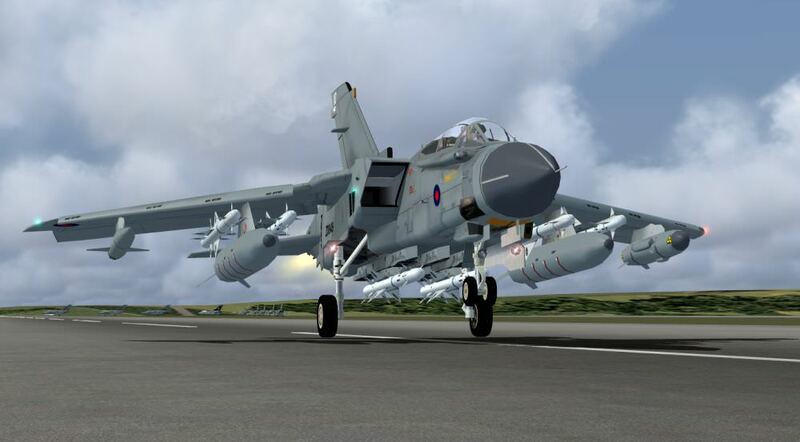 Looks great on a Vulcan, Jag or Tornado. 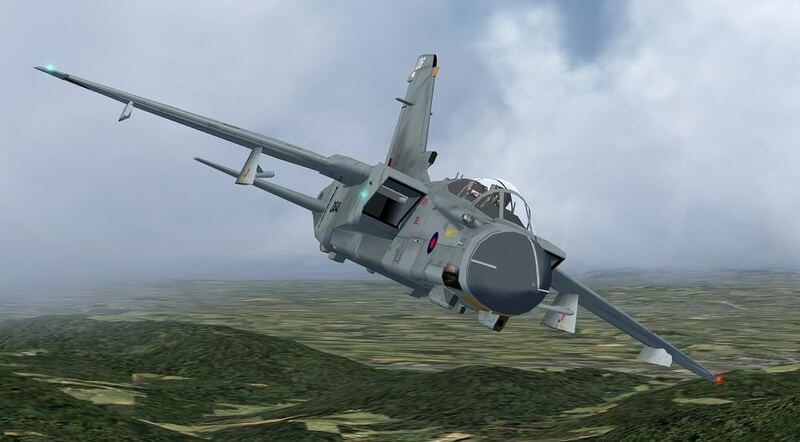 The reason I remember about them is my old Sqn did an exchange with MFG2 at Eggebek when they were still on the F-104. 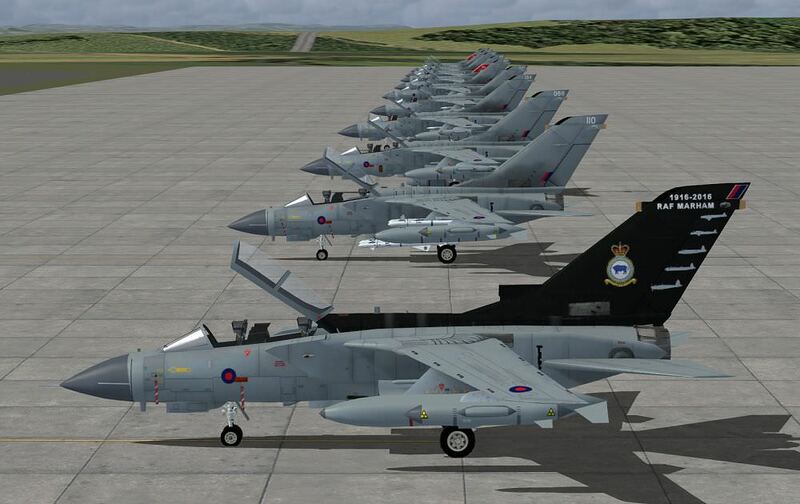 These are the GR4/GR4A load-outs and paint schemes. 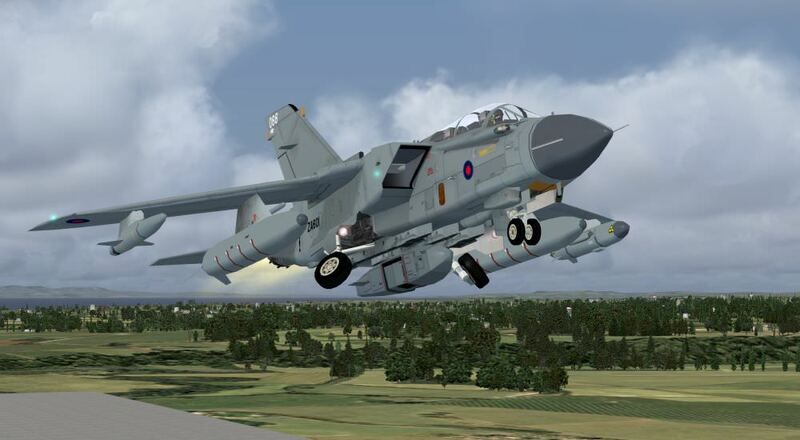 Sadly, only 22 GR4's are now left in the Marham Pool, according to Scramble data, kindly provided by Brent. Even more sad is the prospect that in less than 6 month's time, they will be gone too. I'm not sure how popular these models will be since retro users will probably opt for the GR1's and the period scenery to go with them. 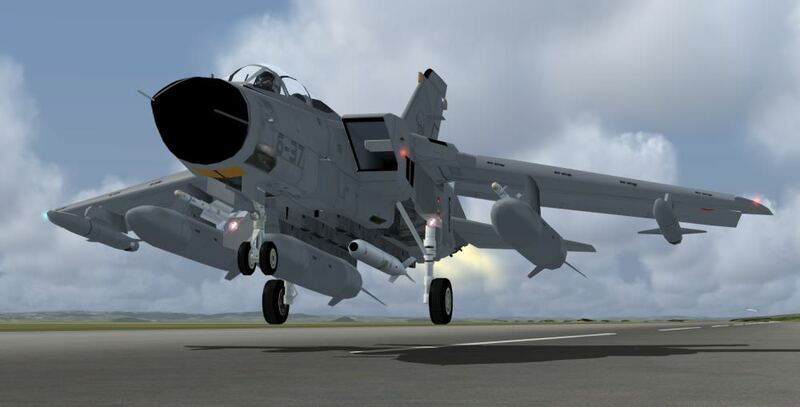 Users of Modern Marham will probably want to opt for F-35B's. I want to get all the models made before I go into "Factory" mode and generate the rest of the aircraft serials in the packages. I'll move on next to the Italian contingent I think. Every details are awesome !! Kulbit, I'm updating the scenery of Ghedi. 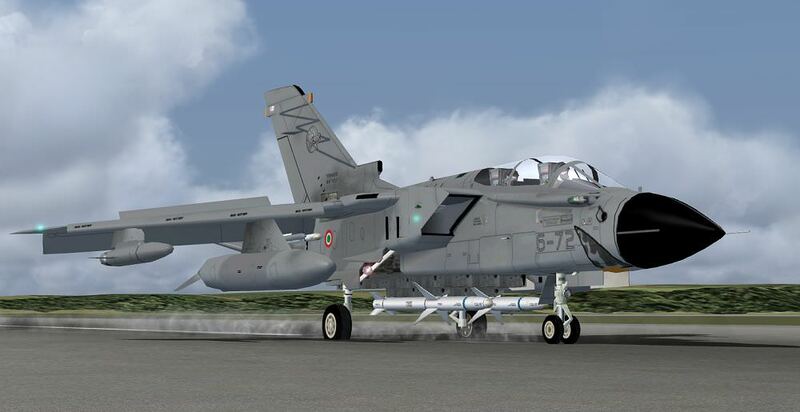 Do you know in which part of the apron are parked the aircrafts of the 155th Gruppo? Absolutely fantastic John, for me this is hands down my favourite project of yours. 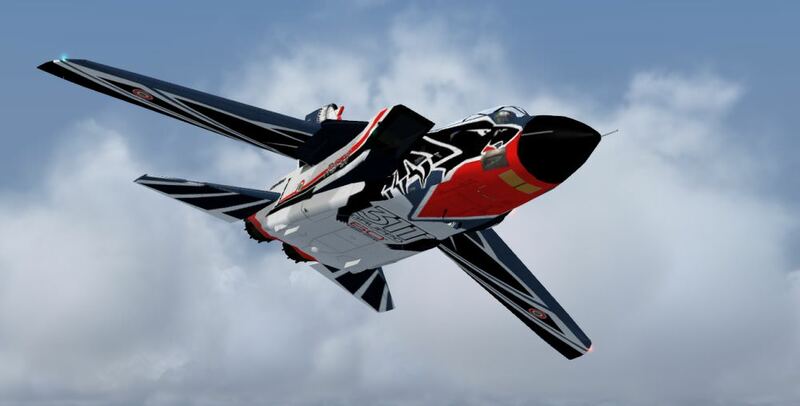 Special place in my heart the Tonka, first aircraft I worked on so I love that you're bringing this aircraft to life. Very much appreciated. "Cluster bombing from B-52s are very, very accurate. The bombs are guaranteed to always hit the ground"
John, you seem to have done it again. At this rate I'm going to need a second PC just for retro stuff !! the great work of John gave me an idea .... would it be possible to introduce in Matrix, the possibility of setting the tiemporal period (for example 90's, / contemporary) and switching packages accordingly and automatically? Giorgio i'm sending you a PM !! Wow, the pics look awesome, seems like a major visual update over the older packages. 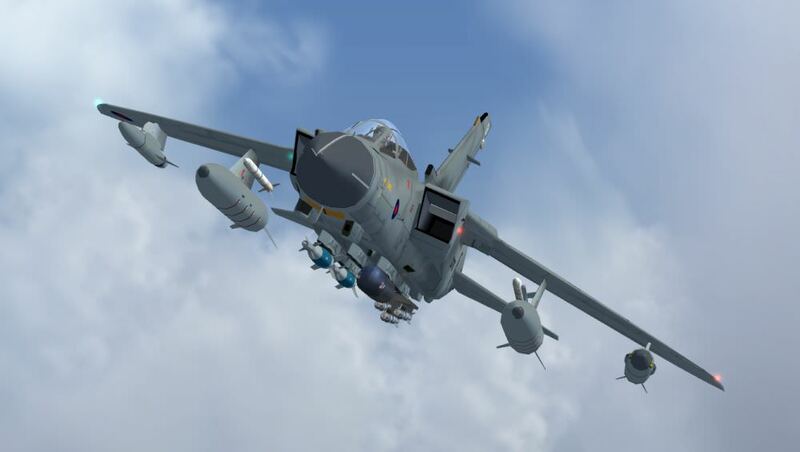 Can't wait to get the Tornado AI on again, miss them very much. Superb work!!! The Italian IDS and ECR models are all done thanks to some great help from Kulbit with load-out information. 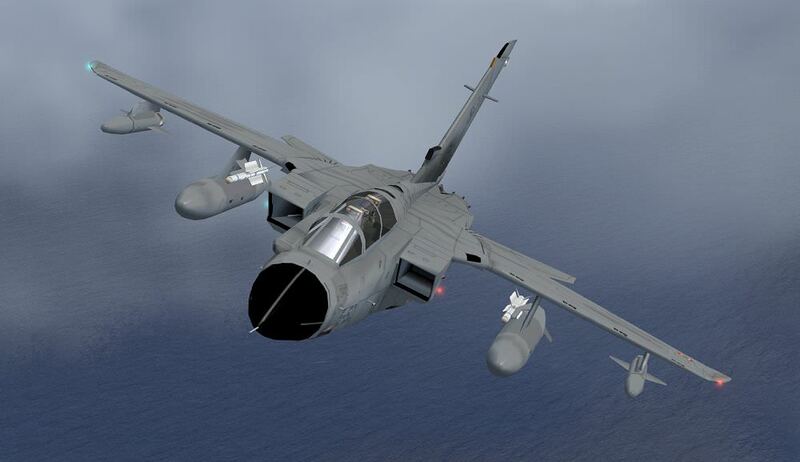 Next job is to make a Taurus missile, which is needed for the German Tornado's. 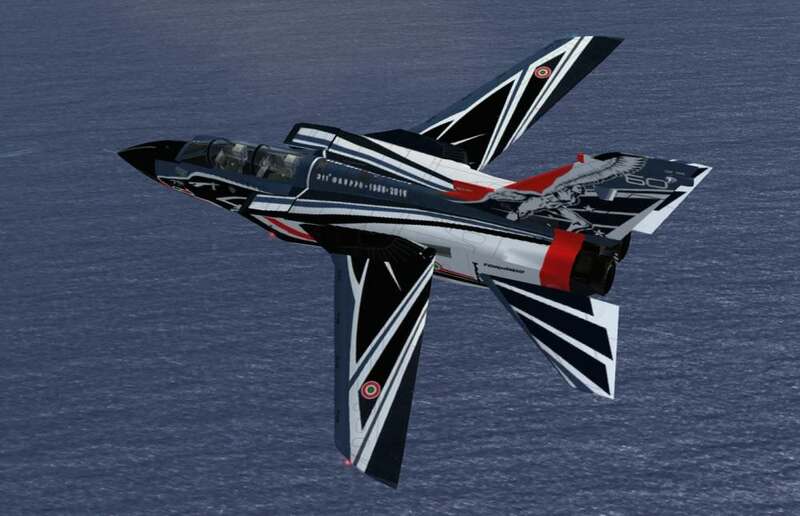 Those shouldn't take long because I can use some of the Italian IDS and ECR models and concentrate on the painting. 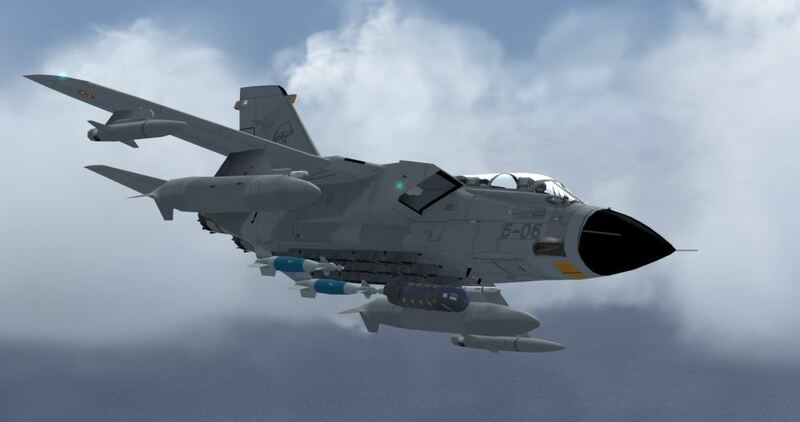 With the Saudi aircraft to complete the packages after that, I'm expecting the total model variations to reach around 30, excluding the F3. And I thought the recent 17 models for the AW139 was a record never to be exceeded by me!